Watch the beautiful Pittsburgh sunsets right from your bed, couch, porch or deck! Enjoy wonderful views of Pittsburgh from the highest residential point in the City! Private location minutes to downtown. 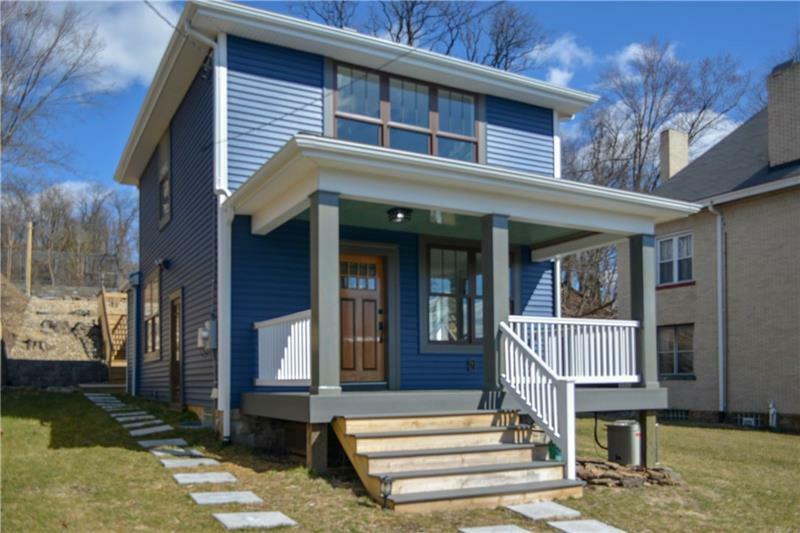 Custom Anderson windows, Mahogany front door, CertainTeed siding; Tank-less water heater, 200 AMP electric service, energy efficient LED lighting throughout, and tons of storage are in this 2 bedroom bungalow. Custom made white oak staircase has hand made iron balusters. The kitchen features top-of-the-line cabinets an island with a massive granite countertop, and high-end stainless appliances. Enjoy expansive decking for your summer entertaining or relaxation! Marble top vanities w/ carrera marble flooring grace the baths; Steam Washer & Dryer included; Multiple off-street parking spots to the rear of home; Concrete pad ready to build a garage upon (with electric already installed). Quality materials used to restore this home inside and out; Better than new in the City! 3/4 Acre!